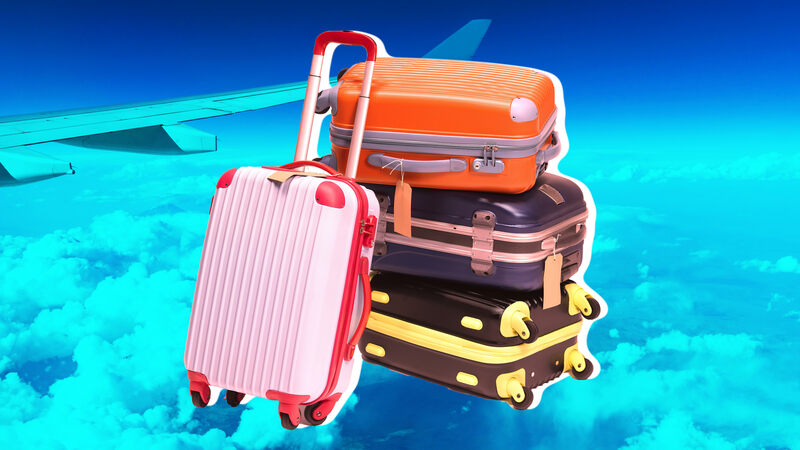 Nearly missing a flight, packing a banned item — we’ve all made a travel mistake at some point. Once, I booked a flight that would have lasted 10 hours as a direct flight and ended up lasting 24 as a series of connections in order to save a couple hundred dollars. The world of travel is vast, and we’re all guilty of making bad decisions here and there. But since knowledge is power, here are the travel mistakes you’re probably making and how to avoid them in the future. Alister Punton of Storylines says people often forget to check their mobile plans or wrongly assume they’re covered when they’re abroad. “Not checking your mobile phone plan can be an expensive mistake,” he says. The fix: Check your plan and make sure you buy appropriate coverage or put your phone on airplane mode and be prepared to have to seek out hotspots wherever you’re traveling. As much as we might assume Wi-Fi is global, there are plenty of places you won’t be able to connect — especially for free. Many international airports charge for internet connection and not every town will have a wired coffee shop nearby. The fix: Research your destination to get a sense of how common a hookup is and plan accordingly. Download podcasts, music and games that are playable offline before you board the airplane. Make notes about how to direct your taxi driver or find bus routes if you can’t count on a connection. And if you are relying on a maps app, don’t forget to start your GPS route — your phone can still reliably track directions with GPS even if you’re out of service area as long as the route is set and started before you go offline. We’ve all heard horror stories about drinking the water in unfamiliar countries, but that doesn’t excuse us from our planet-saving duties. Plus, it’s expensive, says Sofie Couwenbergh of Wonderful Wanderings. The fix: “Even when you’re traveling somewhere you’d rather not drink the tap water, you can use a filtering bottle or filtering tabs to mix with your tap water.” One example is the Katadyn BeFree, which has the added benefit of being collapsible so it doesn’t take up too much space. “People also lose money by walking into the restaurants on the big touristy squares,” Couwenbergh says. Meals tend to be overpriced for the level of quality, when really excellent meals can often be had just a few streets away from the main downtown drag. The fix: Bring small snacks for emergencies and otherwise do a scan of just-outside-the-center restaurants with great reviews so you can hit those while you’re in the area or even make your meals part of your itinerary. If you’re flying out of the country, you’ll likely need to exchange your local dollars for the currency of your destination (pesos, pounds, euros, etc.) While every major airport has a currency-exchange counter, it will cost you — typically upward of $10 in your native currency. Depending on where you’re headed, that can mean you’re actually losing money no matter how great the exchange rate is. The fix: Most major banks will exchange currency for no charge if you’re a customer. Do call or go in a couple of weeks in advance, as they may need to have the currency delivered. Using your card in a foreign country can end up costing you extra. Most debit cards incur an exchange rate fee, plus whatever fee the ATM you’re using charges. Many credit cards will even charge for currency exchange. The fix: If you’re a frequent international traveler, consider getting a card with travel perks like no fees for purchasing items in a foreign currency. Chase Sapphire Preferred Card and Capital One Venture Rewards Card regularly receive high ratings. The fix: Plug your itinerary items into an extended Google Maps search and see if you can find a route that makes the most sense. Then jot down the open hours for each destination and an estimate of how long you’d like to spend at each place so you can plan appropriately and make changes on the fly. Even when you’re finally on the trip of your dreams, you can end up getting some intense FOMO. Did you see everything worth seeing? Eat everywhere worth eating? Is there another hidden gem in the area you absolutely must go to? It’s easy to turn a vacation into something not so relaxing. The fix: A little self-knowledge goes a long way here. Are you OK waking up early if it means seeing something interesting, or will it throw off your whole day? Does a morning of walking tend to leave you sleepy by the afternoon? Do you need time to rejuvenate after navigating your way through a foreign place for hours? Keep these things in mind as you make your itinerary, and above all be flexible. Yes, you want to make memories, but probably not one in which you stood hangry and miserable in front of one of the Seven Wonders of the World.